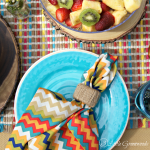 This is a Mason Jar Craft that you are going to love! 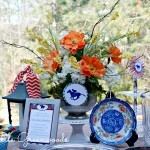 Make a Tea Party Centerpiece using a fabulous blue Mason Jar and plants from the garden center. 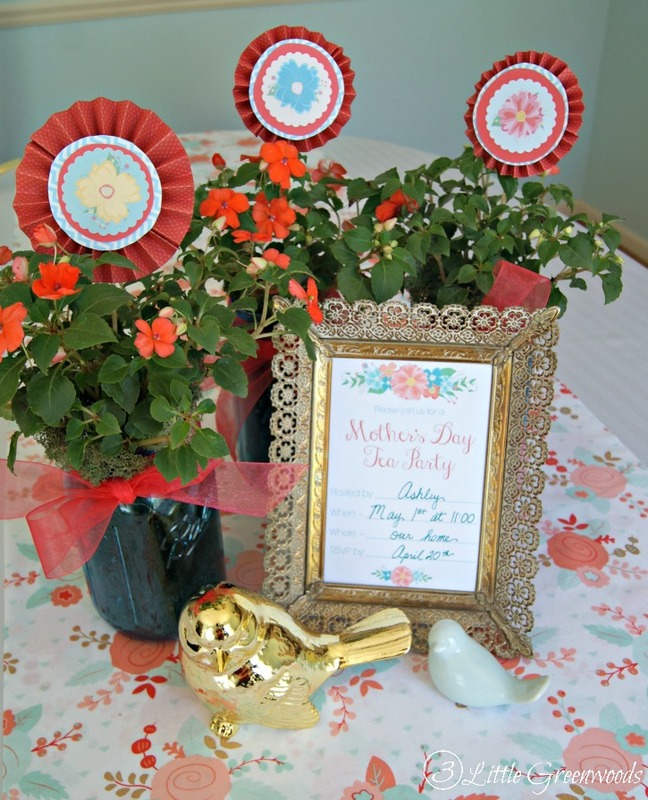 In honor of Mother’s Day, my blog pals and I have created some lovely Mother’s Day themed projects featuring the new Ball® Elite Collection Mason Jars. Aren’t they the prettiest? 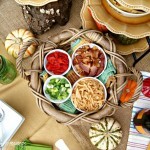 At the bottom of this post are link so you can visit all the other fabulous bloggers and their Mason Jar Craft Ideas! Plus Ball® Canning wants one of YOU to win an entire case of these beautiful blue Mason Jars so enter our giveaway below and be sure to visit all these great blogs and see their fun mason jar ideas! 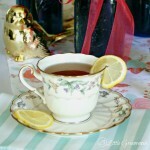 For Mother’s Day this year I am planning on hosting a Tea Party to celebrate the special ladies in my life. The tea party tablescape needed a centerpiece and these blue Mason Jars made the perfect starting point! This post contains affiliate links marked with an asterisk for your convenience. Click here for my complete disclosure policy. Check out the video below to see exactly how I made this Mother’s Day gift! Ball® Elite Collection Mason Jars* <– Enter to WIN a set of these below! 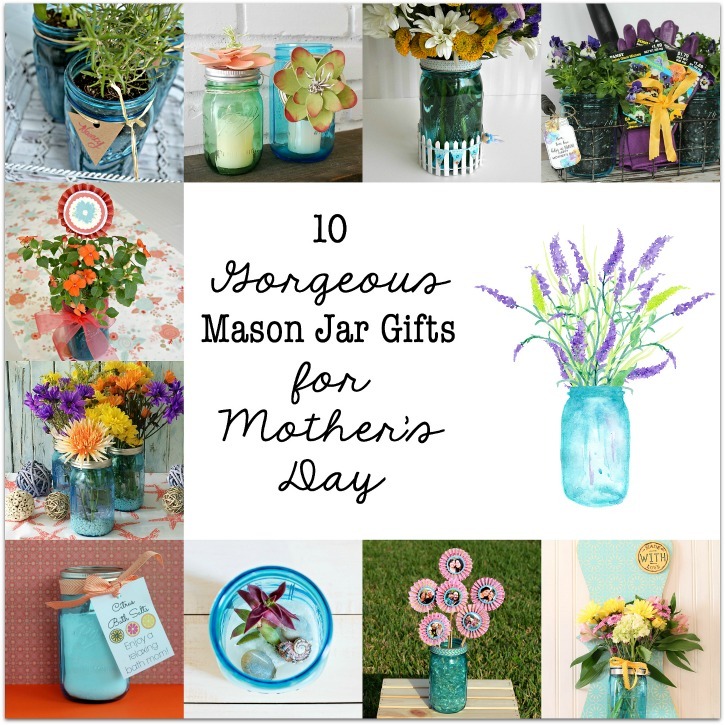 I hope you have been inspired to make a tea party centerpiece from Mason Jars and your favorite plants. It’s a Mason Jar Craft you can make in minutes and I can’t wait to get them away as gifts after the tea party. The plans for the Mother’s Day Tea Party are starting to come together. 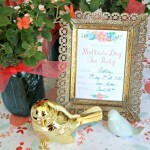 I’ve already got the invitations ready and now the table centerpiece plus a Mother’s Day gift idea! Everyone knows that a great party begins with invitations! 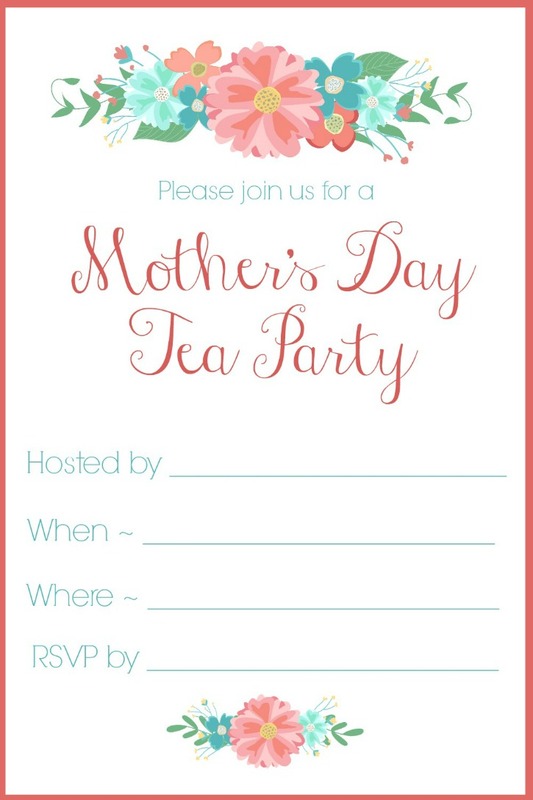 Instead of searching for days and paying lots of money, download this FREE Mother’s Day Tea Party Invitation! 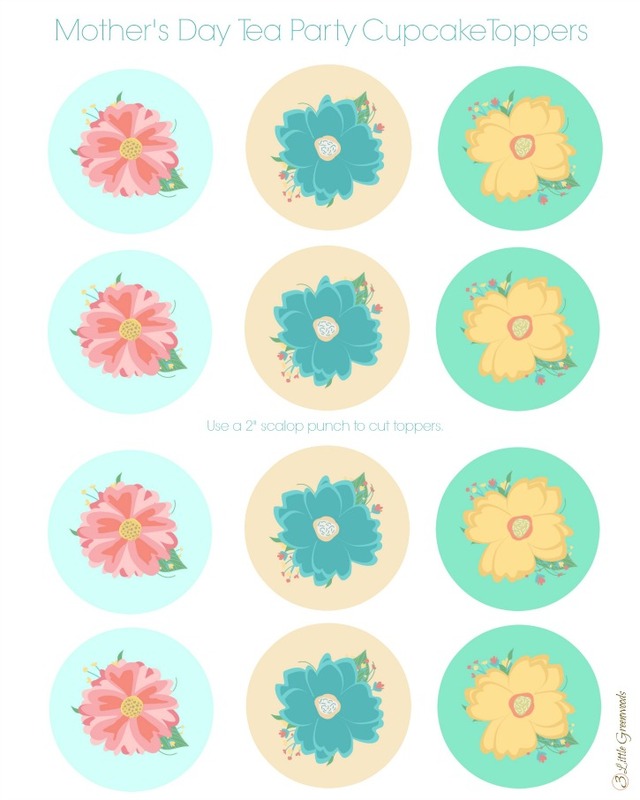 Don’t forget the super cute Flower Cupcake Toppers! Now you have got to pop over to see what my favorite creative bloggers have done with their blue Mason jars! As a matter of fact, Ball® Canning wants one of YOU to win an entire case of them… and you get to choose the size! Enter our giveaway below and be sure to visit all these great blogs and see their fun mason jar ideas! 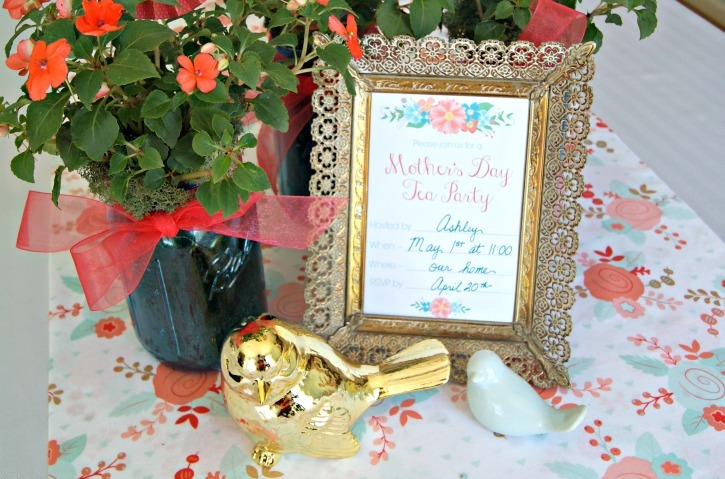 What a special and beautiful idea plus those printables are amazing! Love love love! Pinned! 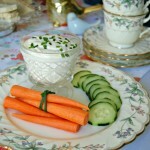 A Mother’s Day tea party is a great idea! Thank you for the beautiful printables. Those are precious! Love the printables too. Pinned! This is so cute, thanks for the printables so beautiful! 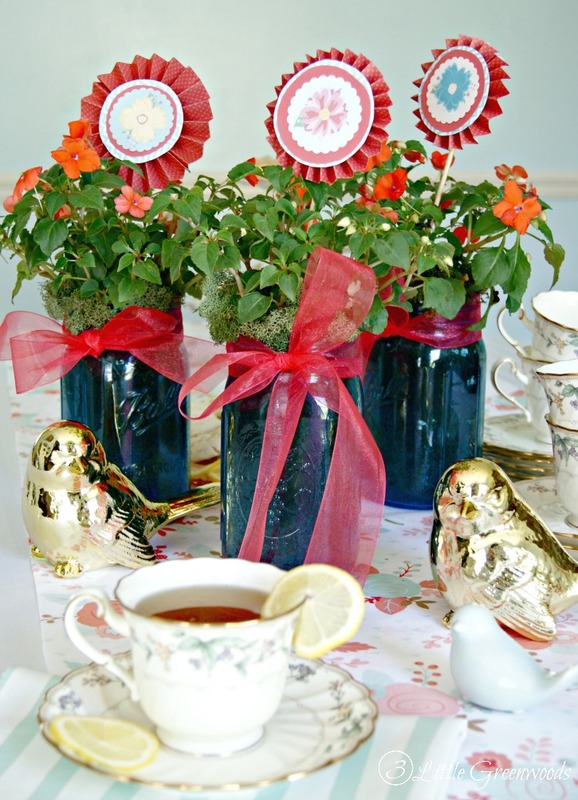 I love that these Mason Jar centerpieces make a great gift at the end of the tea party. Thanks so much for your sweet comment! 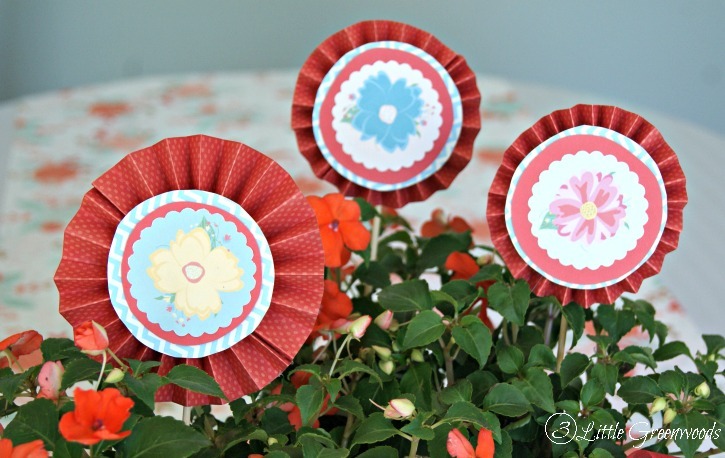 These are so pretty and I love the printable!